Virginia Theatre 2015-2016 season to include Million Dollar Quartet, Last Comic Standing, That’s What She Said, the US Army Field Band and Chorus, CU Ballet, Bill Maher, Tommy Emmanuel, Capitol Steps, Celtic Woman, Jim Brickman, Paula Poundstone, the 18th Annual Roger Ebert’s Film Festival, News-Gazette Film Series and more! The Champaign Park District is proud to announce the Virginia Theatre’s 2015-2016 performing arts season of concerts, movies, dance, theatre, comedy, and special events! Series Subscriptions are on sale now at the Virginia Theatre box office and by phone at 217-356-9063. Subscribers receive discounts on tickets, first pick of seating, and, for patrons who subscribe to 6 or more events, free News-Gazette and Reel Deal movies all year long, along with other benefits. Call 217-356-9063 or visit our box office (203 W. Park Ave, Champaign), 10:00 A.M. to 5:30 P.M., Monday through Friday. Renewing your subscription from last year? Call 217-356-9063, and we’ll be happy to offer you your same seats to this season’s shows! Individual tickets for many shows in the Virginia’s 2015/2016 season go on sale at 10:00 A.M., Friday, August 21, 2015. For other on-sale dates, see individual event listings. Programs and artists are subject to change. This Friday, June 26, the Champaign Park District will proudly announce the historic Virginia Theatre’s 2015-2016 Performing Arts Season. As an existing Virginia Theatre subscriber, you’re invited to renew your ticket subscription beginning this Friday at 10am! Subscribers get their same seats, ticket discounts and more. Take your time—you’ve got first dibs! We’re happy to save your seats until July 13, when unsold seats become available to the general public. THANK YOU for subscribing to the Virginia Theatre’s Inaugural Performing Arts Season. We’ve enjoyed serving you this past year at events like Lyle Lovett, Beach Boys, Second City, Alabama Shakes and Kathy Griffin. We’re looking forward to an even busier & better year! 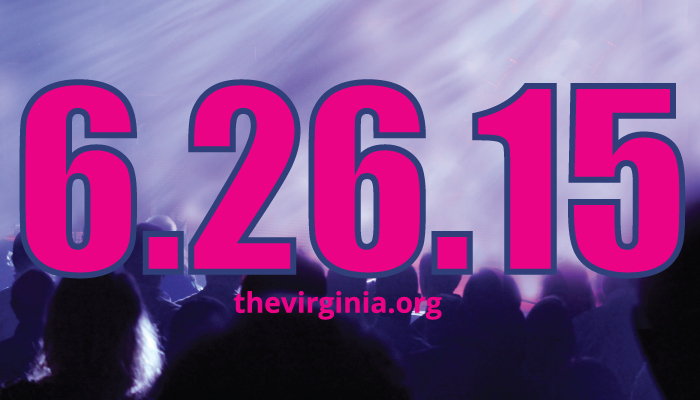 Visit http://67.227.214.190/~thevirginia//event/6-26-15/ for more. Thank you again – we appreciate your business!